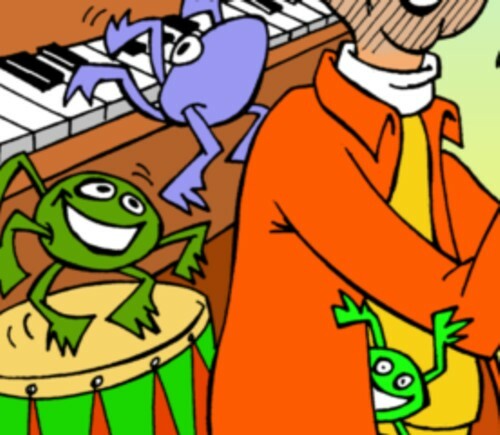 Jan Turkenburg made a CD with some of the Dutch songs that he made for the children to whom he teaches music. I wish our kids had such a music teacher. My son loves music and he last week he complained again that after two years of music lessons at school he has never played one single note or made any music whatsoever. Rhaaaah ! Jan asked me if I wanted to make a drawing for the sleeve. I am not good at such drawings, but I liked both Jan and his music, so I did it anyway. My brother Rudi upgraded the result by adding some beautiful colours to the drawing, and the CD will soon be released by WM recordings. I don’t want to show you the complete cover, but the two excerpts should give you an impression. 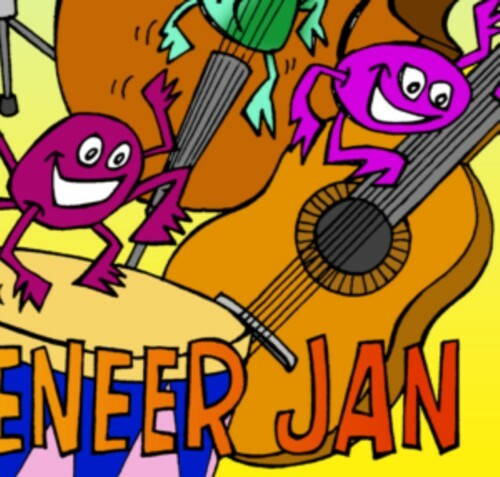 Here is a song by Meneer Jan, as he calls himself for this project. I think that this song will not be on the CD. When the CD is out and for sale, I will mention it again, of course! “I am not good at such drawings” en vervolgens levert ie een meesterwerk af. Ik heb op mijn eigen weblog ook alvast een voorproefje geplaatst.